Shin guards are an essential piece of protective gear, critical to the safety of the mixed-martial artist. Only those that have endured years of rigorous shin conditioning had dare step into practice or the ring without shin guards. Any martial artist that uses his or her legs, shins and knees and feet to their full potential as tools for both offence and defence, needs to wear a set of comfortable, well-crafted, durable shin guards. Fortunately the need for this protection has filled markets with more than enough choices to pick from. 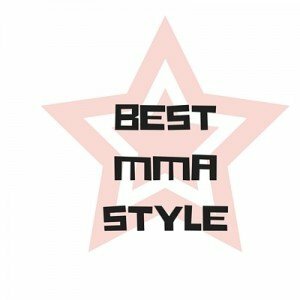 MMA is a fight style that requires a lot of equipment versatility, especially if you happen to be a well-rounded fighter. MMA shin guards specifically designed for the sport are lightweight and unrestrictive. They are often much smaller and strapless, unlike their Muay Thai counterparts. MMA shin guards also feature a tight, form-fitting design. You should opt for a set that fits snugly, but still holds a high level of comfort. The perfect pair of MMA shin guards will brings a balance of padding and protection, comfort and lightweight design structure. A good quality pair will be durable enough to last for quite a length of time, so pick one that looks good too! Hayabusa Mirai Shin Guards are one of the best MMA shin guards available to the mixed-martial artist. These top-end MMA shin guards add yet another gem to Hayabusa’s already-extensive and outstanding range. The Mirai series of shin guards is the product of years of technological research and advanced engineering. The ergonomics ensure the finest contour-matching fitment, whilst Hayabusa makes use of their patented “Boa Closure System” to guarantee that they fit securely. These guards never budge from place! A more comfortable, natural form fitting set of shin guards is hard to find, with the Mirai being so light and well-designed that you will barely know that they are equipped. Every last aspect of these MMA shin guards has been carefully engineered, crafted to fill every need of the driven fighter. They carry a price tag a bit higher than the rest, but every last cent is worth it for the immense value that you gain. The Hayabusa Mirai are a top choice for any fighter, regardless of style or preference! Meister EDGE Leather Instep Shin Guards with Gel Padding are one of the world’s most advanced sets of MMA shin guards in fighting sport. Having said this, their price is considerably rather affordable and good value for money. A midrange choice, the Meister EDGE are a good balanced set, suited to the MMA fighter in training. These shin guards are made from 100% genuine leather and feature highly effective gel padding. The shock absorption capabilities of the gel padding are fantastic and they do a great job of providing you safety from injury. Contact areas are layered with high-density foam, adding an extra level of protection.The overall placement of the gel shock absorbers always protects your shins from damage of stress of any kind. Meister have integrated a curve into the instep of these MMA shin guards, a feature which protects your instep, often lacking from competing products. The Meister’s EDGE range of quality shin guards supply you with top-class support and functionality normally only found in high-end products. They are a great affordable pair that hold their own amongst many more expensive varieties of MMA shin guards. The Venum “Kontact” Shin and Instep Guards hold bragging rights as one of the best looking shin guards around! These stylish but practical MMA shin guards are extremely well crafted and hold their sleek-but-stunning appearance through even the hardest of beatings. Venum Kontact Shin and Instep Guards are even machine washable. This is a clear indication of their sturdy stitching and high quality craftsmanship. A Velcro closure is used to great effect, these shin guards fit and hold form no matter what you do. The padding is lighter than commonly found, but shock absorption is still high. Venum has carried many of its tried and tested manufacturing characteristics over to these shin guards and the stellar quality is well represented. Venum delivers again in the form of these Kontact shin and instep guards. Available in black, red and blue, these are a stylish, high-quality choice suited to any mixed-martial artist. They look and feel great and will continue to do so for many years thanks to the high standards maintained across the entire Venum line. Fairtex Neoprene Shin Pads are a fantastic set of slip-on MMA shin guards, utilizing neoprene to fit your form perfectly. These, the result of advanced ergonomic advancements, match the curves and contours of your body better than most other sets, in turn making them one of the most secure shin guards in MMA. The shin padding is some of the best seen, so is the ankle stabilization and instep protection. When looking at how lightweight these shin guards are you will be pleasantly surprised by the ruggedness, quality of design and technical, and performance enhancing capabilities. These great MMA shin guards leave your movement fairly unrestricted, making them suited to both grapplers and strikers alike. Just like all other Fairtex products, the Fairtex Neoprene Shin Pads are handcrafted in Thailand. The stitching is tough and these shin guards shout quality from all angles, the hand crafted superiority is clear from a glance! Fairtex has you covered again, providing MMA shin guards that deliver everything that a fighter needs. This design makes them perfect for both competition, and sparring. The addition of a hook & loop cover over the elastic band at the top assures a secure fit every time. They are lightweight, durable, and provide complete protection for both the shin and instep. Revgear Professional Leather Shin Guards are great for any MMA sparring session involving striking. Set to last a near-lifetime, only the highest quality manufacturing has been used. High density foam padding protects your shin and instep, with the padded protection being slightly over-sized. These genuine leather shin and instep guards have a hook and strap method of securing to your legs. Even when compared to neoprene alternatives, the hooks and straps function perfectly, always keeping your shin guards securely in place. The Revgear Professional Leather Shin Guards are obviously best suited to the stand-up fight or leg-work, and offer little to the grappler. For striking however they make an affordable variant of MMA shin guards that should be given a look from any fighter seeking a set of practice guards. These are long lasting and of a high standard of quality. They also don’t cost you an arm and a leg! Overall Revgear have supplied us with excellent value. MMA shin guards in this price range pale in comparison to the Revgear Professional Leather set available. A definite possibility for the thrifty fighter! MMA Muay Thai Shin Guards are of the larger variety and feature straps that assist in binding them to your legs. 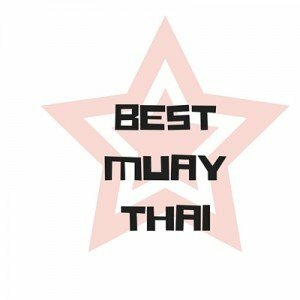 Traditional Muay Thai shin guards are lade of leather and offer great shin and ankle / foot padding. Muay Thai shin guards are essential to any fighter with a focus on kicking, as they offer the maximum protection possible for your legs and feet. Certain MMA Muay Thai Shin guards offer a wide range of technical and performance enhancements, some even have detachable shin protectors. This is handy for those who want to save some extra time (and mobility) during training sessions. Shin guards following a Muay Thai stylish and design structure are simply the best complete leg, ankle, instep and foot protection that you can get. Hayabusa has an extensive range of the industry’s highest quality, top class mixed-martial arts gear. The Hayabusa Striking Shin Guards boast a striking appearance and a highly intelligent composition. Only the highest quality materials have been used. These full-leg protection shin guards are extremely lightweight, especially considering the superior padding complex. The Hayabusa Striking Shin Guards are a set that follow the structure set out by Muay Thai, enhancing upon this basic design by means of ergonomic contouring. They fit great, never moving from place and as a result are very, very comfortable. The backing is made from perforated neoprene. This guarantees breathability, making for a set of MMA shin guards that never suffers from odours and moisture build-up. These shin guards also provide outstanding striking performance, superior to most competitors. Hayabusa have certainly covered everything! Hayabusa Striking Shin Guards are an excellent option for any MMA fighter looking for excellence in all aspects. Protection, durability, style, comfort and safety are all overflowing, making these shin guards one of the best possible choices out there! Another great set of MMA Muay Thai shin guards from Hayabusa, the Tokushu Striking Shin Guards offer an extreme level of performance, with a level of comfort high enough to match. Your speed and striking agility is not restricted in any way, thanks to Tokushu’s lightweight structure. Double back straps are provided and they grants a fitment that is firm and secure, yet comfortable. The foot loops work very well. They are wider than commonly found and a great change. These wider foot loops ensures complete stability. Outwardly, Tokushu shin guards ooze quality and style, the great part about this is that they technical and performance capability to back up their looks! Hayabusa Tokushu Striking Shin Guards are the choice of many professional athletes and are easily one of the best sets of MMA shin guards in production. Hayabusa has excelled again as these MMA Muay Thai shin guards carry every feature that could be hoped for when shopping for striking shin guards. Fairtex has more than earned its place as a reputable manufacturer of quality fight gear. The Fairtex Muay Thai Shin Guards are a set that provide intense levels of durability. Their leather composition is rugged and tough enough to withstand even the most rigorous training regimen. The loop and double back straps offer one of the most secure fitments around. The padding and protection gives you superior striking ability, as well as great protection of your legs and instep. They feel fantastic to wear, with their great sturdy design immediately giving you noticeable support. The Fairtex Muay Thai Shin Guards are an affordable option that do not sacrifice quality for affordability. Fairtex have manufactured Muay Thai equipment since 1971 and these years of experience have rewarded the mixed-martial artist one of the best sets of MMA Muay Thai shin guards around! Durable double stitching, outward style, firm support and striking power enhancement all help to elevate the Fairtex Muay Thai Shin Guards to a top spot and a great choice for any fighter. Handmade in Thailand. Durable synthetic leather shell. Shock absorbing highdensity foam core. Extended instep for greater foot protection. Top King’s Muay Thai Shin Guards are an outstanding set that screams style through its shiny exterior veneer. However these shin guards are far more than just good looking fight accessories! Top King Muay Thai Shin Guards provide comprehensive, complete protection of your entire leg and foot, leaving nothing exposed. Most shin guards leave areas of your toes, instep or ankle open, whereas Top King Muay Thai shin guards protect all these areas extremely well. They may appear rigid at first, however one or two training session will have them broke in. They are surprisingly comfortable given the firm structure and form. You are fully supported but completely comfortable at the same time! The design used makes for an extremely durable set of MMA striking shin guards that are posed to give you years of reliable use. The padding and protection is solid and performance from the Top King Muay Thai Shin Guards is utterly outstanding. 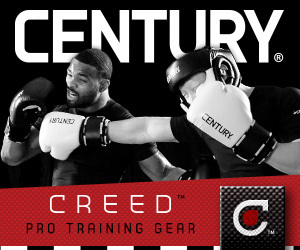 This set is one of the best around and an optimal choice for any MMA fighter. Constructed of premium leather with vectro straps. Free Shipping upgrade. Shin pads ship expedited with standard shipping cost. Service centers for return/exchange in U.S. The Twins Special Thai Shin Protector is a set that is a common choice amongst native Thai fighters. They fit great, feel perfect and function amazingly, making them one of the most optimal sets of MMA Muay Thai shin guards available to purchase. These shin guards are slightly larger than most sets, and this is due to the thick, quality padding used. The padding also results in a set of shin guards that are very comfortable to wear, this more than making up for its bulk. The thick, protective padding is a safety conscious factor that will be valued by any concerned fighter. It ensures that you will never suffer harm during your training. Even though they are quite large, equipping and removing the shin guards are a breeze. Twins Special Thai Shin Protectors are extremely lightweight and barely restrict your mobility at all, definitely not what is expected upon first glance! If anything the added protection will promote extra striking force, thanks to the peace of mind granted by the firm support, with the added ease of barely feeling blocking or striking force. Twins Special Thai Shin Protectors are a set of MMA Muay Thai shin guards that have many surprizes laying in waiting. Once equipped you will soon see why these shin guards make such a popular choice, they stand out in all regards. Full Leather Construction With Double Velcro Closure At The Back And Step-In Foot Protection With Elastic Stap Under The Feet. All Were Well Padded And Ready For Heavy Duty. 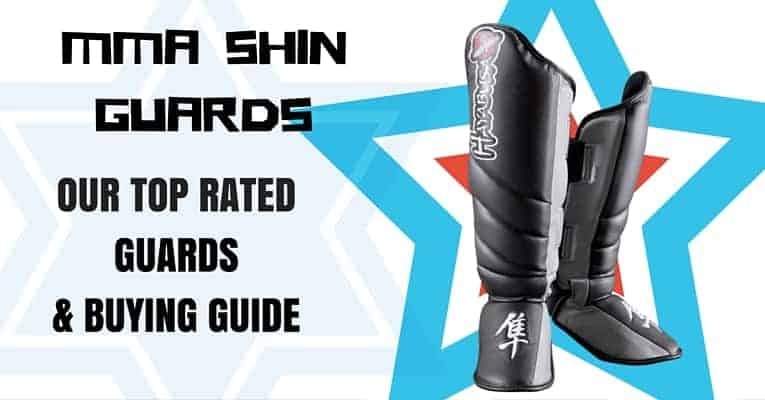 Size S - Length (does not include feet) 13.5"
Size M - Length (does not include feet) 14.5"
Size L - Length (does not include feet) 15.5"
Shin guards designed for grappling in the MMA are often hard to differentiate from regular MMA shin guards. MMA grappling shin guards are not as wide and the instep & ankle protection is slimmer. Grappling shin guards should never get in the way when the fight goes to the mat, for this reason they are much smaller and more form fitting than other shin guards. They are also much more lightweight. MMA grappling shin guards will never move once secured in place, and never will they restrict your mobility in any way. Safety should never be sacrificed, good MMA grappling shin guards will bring the best of both worlds, granting you outstanding protection and unhindered mobility. Grappling guards should not be used when sparring upright, you need the additional protection when striking. For grappling or groundwork during practice there is a definite need for a high quality set of MMA grappling shin guards, and when you step into the ring, cage or arena, you will want only the best! Hayabusa Kanpeki Elite 2.0 Grappling Shin Guards are exactly what their name states, elite! Hayabusa’s Kanpeki Elite 2.0 range are aesthetically stunning and superior to almost all other sets, being composed of fine grain premium leather. You can clearly see the handcrafted artisanship in every aspect of these near-perfect MMA shin guards. These top-of-the-line grappling shin guards carry an old-world style, reminiscent of traditional Thai fight training. Beneath this stylish veneer lies a set of scientifically engineered performance guards matched by few in terms of all-around performance excellence. The entire design is breathable, no moisture build-up at all. The ergonomics are extremely advanced and the resultant effect is a level of protection and comfort that is seldom found in any gear. Ultra-durable Deltra-EG technology guarantees that your guard will never wear down as a result of use. The Hayabusa Kanpeki Elite 2.0 Grappling shin Guards are the most versatile guards available and are miles and bounds ahead of the competition. 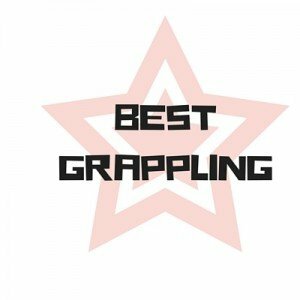 They are the top choice of MMA grappling shin guards for any fighter not limited by a narrow budget. TITLE MMA Grappling Shin / Instep Guards are a great set of grappling guards that are tough enough to endure the most gruelling bouts, whilst always keeping their look and always keeping you protected. A solid one inch layer of foam padding keeps your shins safely guarded no matter you, or your opponent’s striking strength. A lot of thought has gone into the construction of this fine set of MMA grappling shin guards. Your shins and instep are protected by genuine leather whilst a neoprene backing has your shin guards fitting perfectly and always staying in place. The neoprene is extremely breathable and you will never battle with a build-up of odours or sweat. This nifty design combination also has a hook and loop mechanism. These shin guards are quick and easy to slip on or off. Snugly fitting, long lasting, good-looking and ergonomic, the TITLE MMA Grappling Shin / Instep Guards are great for any fight going to the ground! Hayabusa Tokushu Grappling Shin Guards are a breakthrough of fight science. The brilliant developers at Hayabusa have engineered one of the world’s best pairs of MMA shin guards, perfect for fight night! Nothing is exposed at all, exactly as is needed when taking the fight to the mat or working on groundwork. Protection is granted by means of advanced composite layers of shock resistant material. These translate to lightweight shin guards with unparalleled levels of protection, definitely top class in terms of safety! Neoprene has been used to form the rear backing. This feature makes these shin guards very comfortable to wear while carrying the added bonus of ergonomic contouring and moisture resistance as well! The neoprene foot sleeve provides great traction, which in turn equals a tight, safe fit. Performance all around is jaw-dropping, utterly outstanding! Hayabusa has given us nothing but the best through their Tokushu range, a prime option for any fighter of any skill level. Contender Fight Sports MMA Grappling Shin Guards are custom designed specifically for the grappler. Slim fitting, but very firm, Contender Fight Sports certainly does present an affordable balance of quality, style and performance. The exterior is comprised of synthetic leather which saves on costs but still offers good durability. The neoprene wrap does a stunning job of filling ergonomic needs, rare amongst affordable varieties of shin guards. Padding is comprised of high density foam and is resistant enough to hold its own through even intense training. Shopping on a tight budget usually leaves one disappointed but there is nothing of the sort with these cheap alternatives! Contender Fight Sports breaks that pattern by giving us a cheap set of MMA grappling shin guards that has quality and performance to rival that of brands costing twice as much. For sparring, fight night or even casual martial arts, the Contender Fight Sports MMA Grappling Shin Guards save you money and injuries while boosting your performance. And at the same time they do so looking great! Everlast Prime MMA Shin Guards are a great match to any fighter. Although specifically developed for use in MMA, these shin guards are also perfectly suited to Muay Thai and Kickboxing. MMA shin guards that provide quality such as that on offer here can usually cost up to three times the price of this great set from Everlast. Isoplate foam plating technology is used for stabilization, whilst the leg straps used ensure a snug fit to your form. The isoplates have great shock absorption and protect against all full-contact blows. Closed-cell foam ensures the highest possible safety and total shin protection. An elastic instep enhances your mobility, as does the light weight of these outstanding MMA shin guards. Low on maintenance and more durable than most guards, the Everlast Prime MMA Shin Guards are great for grappling practice and will grant you years of reliable service, despite their low cost. Synthetic leather surrounds high density foam on both panels to provide shin protection. When out shopping for a high quality set of MMA shin guards, for either practice or fight night, it is best to be well informed. You should be on the lookout for a pair of guards that matches both your purpose of purchase and your natural fighting style. There are three basic styles of MMA shin guards, namely MMA, Muay Thai and Grappling shin guards. 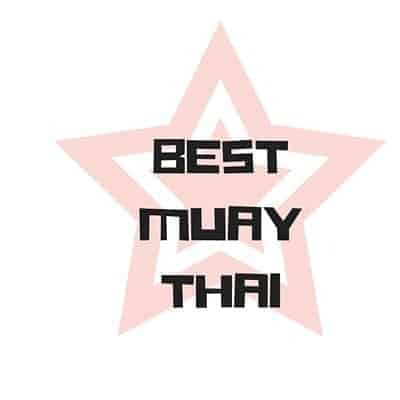 MMA and Muay Thai shin guards offer near-complete protection to your entire leg, foot, ankle and instep, with Muay Thai guards protecting the whole of your leg. Grappling shin guards are non-obtrusive and offer lesser protection of your legs, in exchange for enhancement to your mobility and joint extension. Each variety holds its own benefits. It is ultimately up to you to decide what pairs best with your ability in the ring or on the mat. Here we offer some insight into key factors, features and differences between the various MMA shin guards available in stores. MMA shin guards usually feature a simple outward design, free from any clasps, straps or other obtrusions. They generally are much shorter than Muay Thai shin guards and are also narrower. The protection of your shins and instep is however quite similar to those meant for Muay Thai. They hold the added advantage of granting you extra dexterity on the mat thanks to lightweight manufacturing and flexible ankle fixtures. A good set of MMA shin guards should never shift from place and should be light enough to barely be felt when equipped. Shin guards designed for use in MMA bring a balance of outright striking protection and grappling dexterity, they should never be flimsy nor should they be restrictive in any way. For the fighter who fights a stand-up, striking game, or for legwork and sparring, MMA Muay Thai shin guards offer the best total leg protection and striking performance enhancing functionality. Always ensure a tight fit and be on the lookout for comfortable, secure straps. The better options out there also protect your instep and at time your entire foot, including your toes. Take care to buy a set of MMA Muay Thai shin guards has provides sufficient breathability. No one wants odours arising from the accumulation of latent sweat. The large size, superior padding and full leg support of Muay Thai shin guards is the perfect pair to the striking focused fighter. The grappler needs unhindered movement and the full extension of his or her joints. Mobility, agility, flexibility and dexterity are all critical to the grappler. Grappling shin guards must always be of clean design, free from any hazardous outward adornments. The fit needs to be spot on, always very tight, but never restrictively uncomfortable. For the best speed and safety benefit, one should always look for stabilization features. These guards secure your foot, ankle and leg position in turn giving you the best mobility bonus in a fight. Scientifically proven ergonomics are a must when shopping for MMA grappling shin guards, your shin guards have to follow your contours and good grappling shin guards will excel in this area and all others. Regardless of your fighting style and resultant choice of MMA shin guards, these factors should always be held into consideration, as they are all great additions to good quality shin guards. Ergonomic Design – All shin guards must fit like a glove, never shifting in any way at all. Genuine Leather – Quality, strength and durability are virtually guaranteed when choosing leather. Instep Protection – Instep protection is not provided by all shin guards but is a great feature to have. Immovable Shin Guards – No part of your shin protectors should ever be able to move around within the shin guard itself. Performance Enhancing Benefits – Fight science has pushed the boundaries of performance enhancement and performance boosting features are far more than futile claims, they are proven facts! These common pitfalls are easy enough for anyone to keep in mind and go a long way towards assuring a valued purchase and asset to the mixed-martial artist. Poor Quality Stitching: Stitching comes loose easily if poorly constructed, leaving you needing to buy a new set of shin guards. Cheap Manufacturing & Materials: Durability is a must! There is no point of saving $10 now only to have to spend $30 next month. Oversized Gear with Poor Fitment: Injuries, discomfort and damaged equipment, avoid at all costs! Exterior Adornments / Accessories: All fight gear should be clear, you need nothing getting in the way of your bout or training, it’s unsafe and unnecessary. Restrictive Ankle Support: At some point you are going to go to the ground, and even in a stand-up fight certain acts of dexterity require full extension of your joints. Shin Guard Padding or Plates that Move: Hazardous and uncomfortable, never should be touched! Flimsy Hook & Strap Mechanisms: MMA is a demanding sport, flimsy fastened shin guards will simply not do! Obtaining the perfect fit is critical to more than just comfort. Secure fitment grants a subtle boost to your performance while reaping your many great safety benefits. There are two basic sizing standards in use across the glove. The first is termed MMA style, referring most often to varieties of shin guards that make use of neoprene backing. The second is the traditional measurement style and is based on your height. Use this style of measuring for shin guards that use a neoprene backing. You need to take your measurement around the largest part of your calf muscle, and then follow the guide below. This measurement is for shin guards that use hook & loop straps and it is relative to your height. Don’t rush out jumping at the first shiny distraction! Establish what you will be using the shin guards for and stick to it. 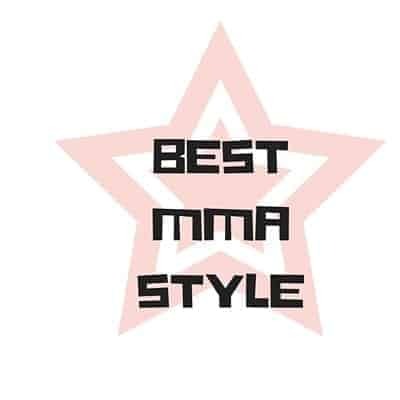 One only essentially needs two basic pairs, one for practice and striking and other for fight night, encompassing the needs set by your grappling ability. Obtain yourself a good set of each and you will have saved yourself a lot of unnecessary expense, injury and discomfort in both the near and far future. MMA shin guards are available in abundance, there is never a reason for you to settle for anything less than perfect. Your shin guards can and should match you and your style both, in every way possible. After all, there are excellent options for all tastes and technique choices, regardless of how thin your budget is! Hey there! Useful post! Please keep us posted!